Measles is on the march once more, even though vaccination against the disease has cut the number of worldwide deaths from an estimated 2.6 million per year in the mid-20th century to 110,000 in 2017. But thanks to the anti-scientific, anti-vaccination movement and the ever expanding reach of social media, measles cases are now at a 20-year high in Europe and as many U.S. cases were reported in the first two months of 2019 as in the first six months of 2018. Highly contagious, measles is not a malady to be taken lightly. One in 1,000 people who catch it die of the disease; most of the victims are children under five. Even those who survive are at high risk of falling prey to encephalitis, an often debilitating infection of the brain that can lead to seizures and mental retardation. Other serious complications of measles include blindness and pneumonia. It’s not the first time that measles has reared its ugly head since the widespread introduction of the MMR (measles-mumps-rubella) vaccine in 1963. Although laws mandating vaccination for schoolchildren were in place in all 50 U.S. states by 1980, sporadic outbreaks of the disease have continued to occur. Before the surge in 2018-19, a record number of 667 cases of measles from 23 outbreaks were reported in the U.S. in 2014. And major epidemics are currently raging in countries such as Ukraine and the Philippines. The primary reason for all these outbreaks is that more and more parents are choosing not to vaccinate their children. 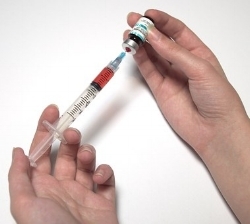 The WHO (World Health Organization), for the first time, has listed vaccine hesitancy as one of the top 10 global threats of 2019. While some parents oppose immunization on religious or philosophical grounds, by far the most objections come from those who insist that all vaccines cause disabling side effects or other diseases – even though the available scientific data doesn’t support such claims. As discussed in a previous post, there’s absolutely no scientific evidence for the once widely held belief that MMR vaccination results in autism, for example. Anti-vaccinationists, when accused of exposing their children to unnecessary risk by refusing immunization because of unjustified fears about vaccine safety, rationalize their stance by appealing to herd immunity. Herd immunity is the mass protection from an infectious disease that results when enough members of the community become immune to the disease through vaccination, just as sheer numbers protect a herd of animals from predators. Once a sufficiently large number of people have been vaccinated, viruses and bacteria can no longer spread in that community. For measles, herd immunity requires up to 94% of the populace to be immunized. That the threshold is lower than 100%, however, enables anti-vaccinationists to hide their children in the herd. By not vaccinating their offspring but choosing to live among the vaccinated, anti-vaxxers avoid the one in one million risk of their children experiencing serious side effects from the vaccine, while simultaneously not exposing them to infection – at least not in their own community. But hiding in the herd takes advantage of others and is morally indefensible. Certain vulnerable groups can’t be vaccinated at all, including those with weakened immune systems such as children undergoing chemotherapy for cancer or the elderly on immunosuppressive therapy for rheumatic diseases. If too many people choose not to vaccinate, the percentage vaccinated will fall below the threshold, herd immunity will break down and those whose protection depends on those around them being vaccinated will suffer. Another contentious issue is exemptions from mandatory vaccination for religious or philosophical reasons. While some American parents regard the denial of schooling to unvaccinated children as an infringement of their constitutional rights, supreme courts in several U.S. states have ruled that the right to practice religion freely doesn’t include liberty to expose the community or a child to communicable disease. And ever since it was found in 2006 that the highest incidence of diseases such as whooping cough occurred in the states most generous in granting exemptions, more and more states have abolished nonmedical exemptions altogether. But other countries are not so vigilant. In Madagascar, for instance, less than an estimated 60% of the population has been immunized against measles – because of which an epidemic there has caused more than 900 deaths in six months, according to the WHO. Although the WHO says that the reasons for the global rise in measles cases are complex, there’s no doubt that resistance to vaccination is a major factor. It’s not helped by the extensive dissemination of anti-vaccination misinformation by Russian propagandists. Next: The Sugar Industry: Sugar Daddy to Manipulated Science? Perhaps nowhere is the attack on science more visible than in the opposition to vaccination against infectious diseases such as hepatitis, polio and measles. To anti-vaxxers, immunizing a child with the measles vaccine is a choice between sentencing him or her to the lifelong misery of autism, or exposing the child to possible aftereffects of a disease that the youngster may never contract. This view, passionately held by a substantial minority of the population, is completely at odds with the logic and evidence of science. Despite the insistence of anti-vaccinationists to the contrary, there’s absolutely no scientific evidence of any linkage between vaccines and autism. The myth connecting them was first suggested by U.S. activist Barbara Loe Fisher in the 1980s. It gained steam when British gastroenterologist Andrew Wakefield claimed in a 1998 study that 8 out of 12 children in the study had developed autism symptoms following injection of the combination measles-mumps-rubella (MMR) vaccine. But Wakefield’s paper in the prestigious medical journal The Lancet was slowly discredited until, in 2011, the journal’s editors took the unprecedented step of declaring the paper fraudulent, saying that Wakefield had falsified his data. Die-hard anti-vaccinationists refused to accept this conclusion, despite Wakefield’s medical license being subsequently revoked by the UK General Medical Council, who found that his fraud was compounded by ethical lapses and medical misconduct in the same study. The autism episode generated worldwide publicity and led to thousands of court cases in a special U.S. Vaccine Court set up as part of the National Vaccine Injury Compensation Program. To cope with the enormous caseload, the court assigned three special masters to hear just three test cases on each of two theories: that autism was caused by the MMR vaccine together with a mercury-based preservative known as thimerosal, or that it was caused by thimerosal-containing vaccines alone. Yet, despite the Vaccine Court’s findings in the U.S. and The Lancet’s accusation of fraud against Wakefield in the UK, anti-vaccinationists continue to connect the MMR vaccine to autism. In 2016, Wakefield directed a documentary, “Vaxxed,” alleging that the U.S. Centers for Disease Control and Prevention (CDC) covered up contrary data in a 2004 study that drew the same conclusions as the Vaccine Court and numerous epidemiological studies. His allegations were baseless, however, as the 2014 research paper behind his outrageous claim was subsequently retracted. According to CDC statistics, autism spectrum disorder afflicted 1 in 59 U.S. children in 2014. Diagnosis of the condition can be devastating and highly stressful for the desperate parents of an autistic child, who naturally tend to grasp for explanations and are often quite willing to believe the hype about vaccination. Currently, the causes of autism remain unknown, although several risk factors have been identified: certain genetic conditions have been implicated, and it’s thought that exposure during pregnancy to toxic chemicals such as pesticides, or to bacterial or viral infections, plays a role. While there’s no medical evidence tying autism to vaccines, it’s also true that serious adverse reactions to a vaccine shot do occur occasionally – typically about once in every one million vaccinations. Negative and occasionally fatal reactions to various vaccines have been documented in approximately 400 research papers. But these 400 cases need to be weighed against the hundreds of millions of vaccine doses administered every year in the U.S. without any reported side effects, cases that aren’t even worth studying. And the odds of suffering an adverse reaction have to be compared with the risk of contracting the disease itself. One of 1,000 children who get the measles, for instance, will end up with encephalitis, which can have devastating aftereffects such as seizures and mental retardation; some children still die from measles, often after getting pneumonia. It’s a lot less dangerous to subject a child to an MMR shot than risk exposing the child to a disease as contagious and potentially deadly as measles.